The mountains of British Columbia are among the most picturesque in all of Canada and indeed, all North America. While the mountains can be treacherous, a great many mountaineers have and will continue to trek up and down the peaks of British Columbia in pursuit of challenge, adventure and self-satisfaction. Others simply prefer to camp on the lower ends of the mountains and enjoy that view for themselves. There are many ways to enjoy the natural wonders of British Columbia’s mountains. A few choose to go hunting in these mountains, with perhaps the most intriguing game of the peaks being the bighorn sheep. 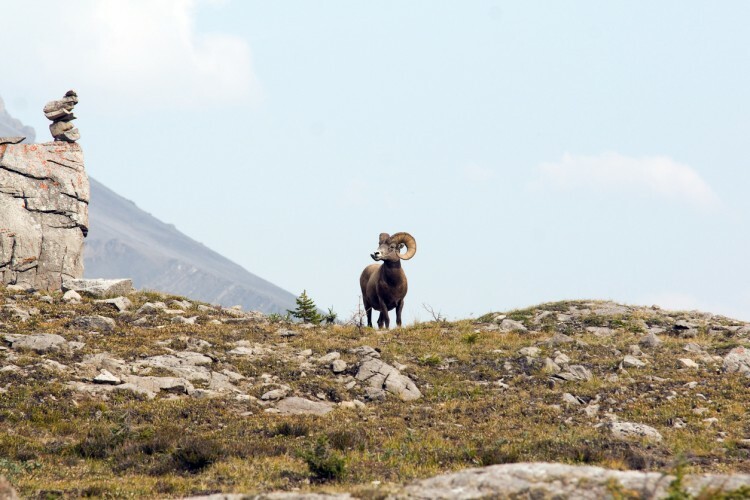 However, British Columbia bighorn sheep hunts are a serious matter and should not be undertaken lightly. animals graze on grass and shrubs and seek out natural salt licks to get minerals in their diet. In an odd bit of sexual differences, female bighorn sheep tend to forage and walk, while the larger bodied and horned males tend to eat and then rest, which leads to a greater increase in body size. Bighorn sheep live in large herds and while they typically do not follow a single leader ram, though rams will clash horns to establish dominance and mating desirability during the mating season. These clashes, which can damage the sheep’s horns, also happen sporadically during the rest of the year. Canadian firearms laws make rifle hunting a bit of a complicated matter, though it is not entirely unheard of hunts in British Columbia to use basic hunting rifles. Bows and crossbows labor under far less restrictions. Hunters are advised to be careful, particularly on the treacherous Rocky Mountains, as rock slides do happen. Further, the bighorn sheep is not a docile animal and may get violent when it feels threatened, but that is all part of the challenge. So, if you’re planning on some British Columbia bighorn sheep hunts, make sure you keep this information in mind. Bighorn sheep are, true to their name, a wild species to hunt.